BOSTON (January 17, 2019) – Chief Justice Ralph Gants of the Massachusetts Supreme Judicial Court, bar association leaders, and law students will join hundreds of private attorneys from more than 36 law firms at the Massachusetts State House on Thursday, Jan. 24 at 11 a.m. for the 20th Annual Walk to the Hill for Civil Legal Aid. Attendees at this annual lobby day will request a $5 million increase in state funding for programs that provide civil legal aid to low-income Massachusetts residents. “Families torn apart by opiate abuse, immigrant residents threatened with deportation and family separation, elderly tenants facing eviction, survivors of domestic violence searching for a safe space and a fresh start: these are among the hundreds of thousands of Massachusetts residents seeking civil legal aid from providers funded by MLAC. And they need our help, never more than now,” said Chief Justice Gants. In addition to Chief Justice Gants, speakers at the Walk to the Hill will include: Jonathan Albano, president of the Boston Bar Association; Christopher Kenney, president of the Massachusetts Bar Association; and Fred Connelly, a legal aid client. Following the speaking program, attorneys will visit their legislators and urge them to provide a $5 million increase in funding for MLAC, the largest funder of civil legal in Massachusetts, for a total appropriation of $26 million in the FY 20 state budget. Walk to the Hill is sponsored by the Equal Justice Coalition, a collaboration of the Boston Bar Association, Massachusetts Bar Association, and the Massachusetts Legal Assistance Corporation. The event is co-sponsored by numerous county and specialty bar associations throughout Massachusetts. Media are welcome to attend the speaking program. 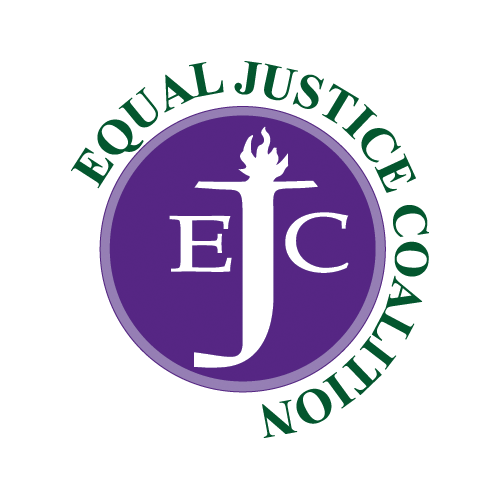 The Equal Justice Coalition is a collaboration of the Boston Bar Association, Massachusetts Bar Association, and the Massachusetts Legal Assistance Corporation working to increase state funding for civil legal aid.